Whether you're visiting New York City on an extended vacation or coming in for work, the Financial District is an amazing place to stay. This often-overlooked neighborhood boasts features that can rival the most popular areas in the city, along with some amenities you won't find anywhere else in Manhattan. Easy Public Transportation: The area around Wall Street features a scattering of subway stations hosting a wide array of lines—from the Financial District, you can get almost anywhere below 86th Street within 30 minutes or less. You'll also enjoy easy access to most of Brooklyn, making traveling for both business and pleasure faster and easier. Peace & Quiet: Uncrowded streets and quiet bars on the weekend are few and far between in New York City. Fortunately, the Financial District tends to be quite intimate during the evenings and most weekends, giving residents the chance to truly relax and enjoy the neighborhood’s leisurely pace. Affordability: Compared to other neighborhoods, luxury apartments in the Financial District are much more affordable, with larger floor plans and more amenities than you would find somewhere else. Corporate Habitat maintains a variety of properties throughout the area, many with on-site valets and premier facilities. Corporate Habitat’s apartments at 95 Wall Street feature amazing views from huge picture windows and a rooftop lounge with a beautiful outdoor terrace. You'll also enjoy the benefits of a complete fitness facility, basketball courts, and luxury appliances from top brands. These local experts offer a variety of rental apartments throughout the district, ensuring they have something for everyone. 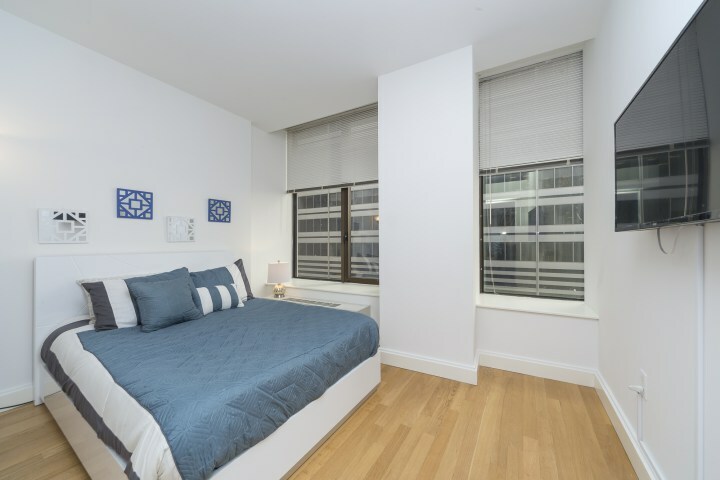 Visit Corporate Habitat online today to browse their selection of luxury apartments in New York City, or call their offices to speak with owner Avi Waknine about a short-term rental in the Financial District.